Sometimes ssh is just not enough. There is no Xnest app for your Chromebook, but with xrpd you can still setup a remote graphical session to your Linux box. I have created a small LXC Linux container with Debian Squeeze with a standard minimal Debian installation on it (in tasksel just choose for SSH-server). 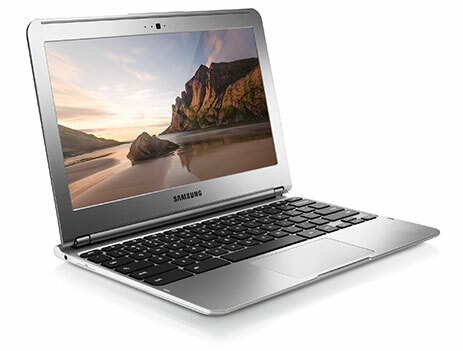 On my Samsung Chromebook 303C I installed the app "Ericom AccessToGo". This is a free version for personal use. 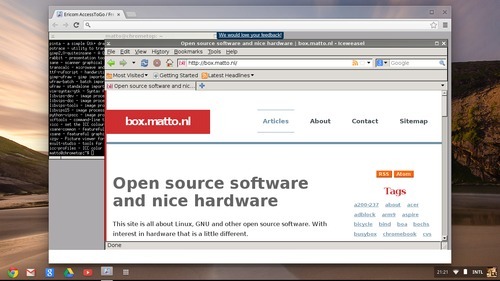 Open the app in your chromebrowser, enter the ip-address of the Linux box. Also provide the username and password of the user on the Linuxbox with the .xsessionfile. Please remember that the RDP protocol is developped by Microsoft and has Microsoft-grade security. Because of this it is best to run the connection over a VPN or through a ssh tunnel. RDP runs on port 3389. The stock ssh client unfortunately can only setup a local ports in the range 8000-8999. The RDP client however does not comes with an option to connect to a another port then the default.